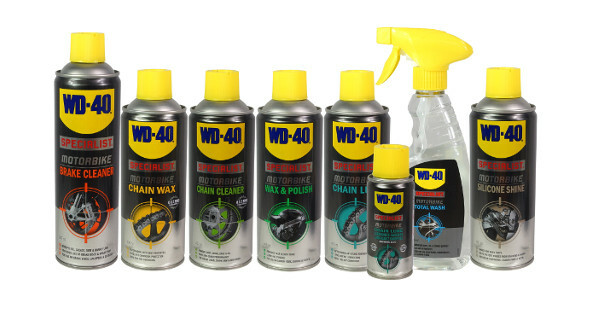 Developed in conjunction with the British Superbike Series and Sheffield University, WD-40's Specialist Motorbike range is designed and tested to ensure it meets the high demands of racing. 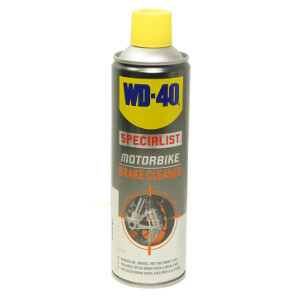 Its products give riders all-year-round maintenance care which will improve performance and the life of their machines. 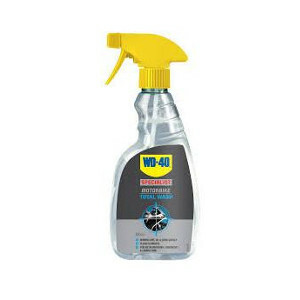 Quickly removes dirt, grime, dust and oil to help maintain the performance of standard, O-ring, X-ring, and Z-ring chains. 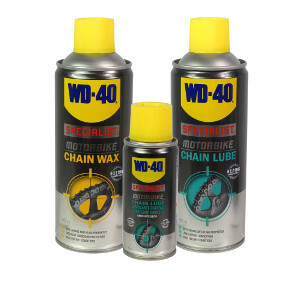 Provides long-lasting lubrication and protection for standard, O-ring, X-ring, and Z-ring chains, with its outstanding anti-fling properties. 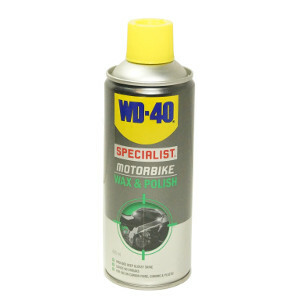 Quickly removes dust, dirt, oil and brake fluid from brake and clutch systems, helping to prolong the life of brake discs and pads and maintain better brake performance while reducing squeal. A fast-evaporating formula which provides an all-over great shine and protects from ageing and rubber cracking without the need to buff. This special formula contains Carnauba, which helps to provide a glossy streak-free wet-finish look that makes water bead on contact. 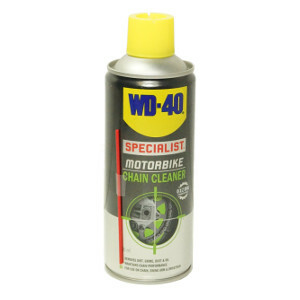 This biodegradable all-purpose cleaner is designed for use all over your bike.